KFC delivery crisis: make the bosses pay, not the workers! University bosses rocked - strikes can save staff pensions! What's behind the surge in eating disorders? 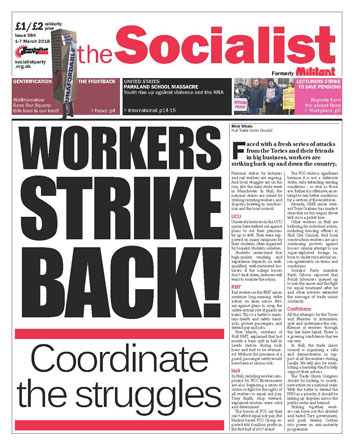 The Socialist 28 February 2018, Workers strike back!